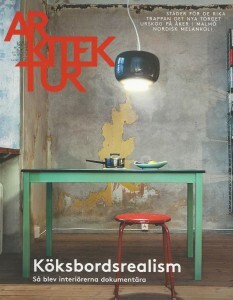 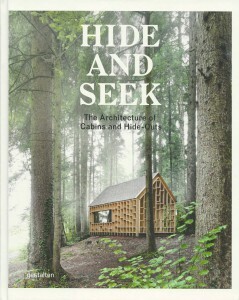 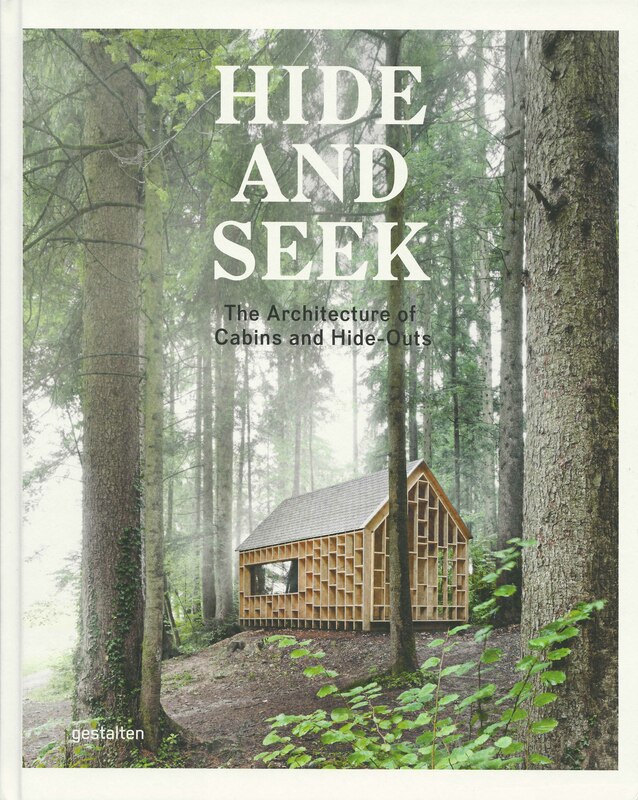 Great new book with many interesting projects. 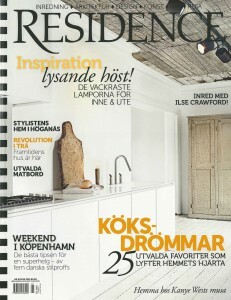 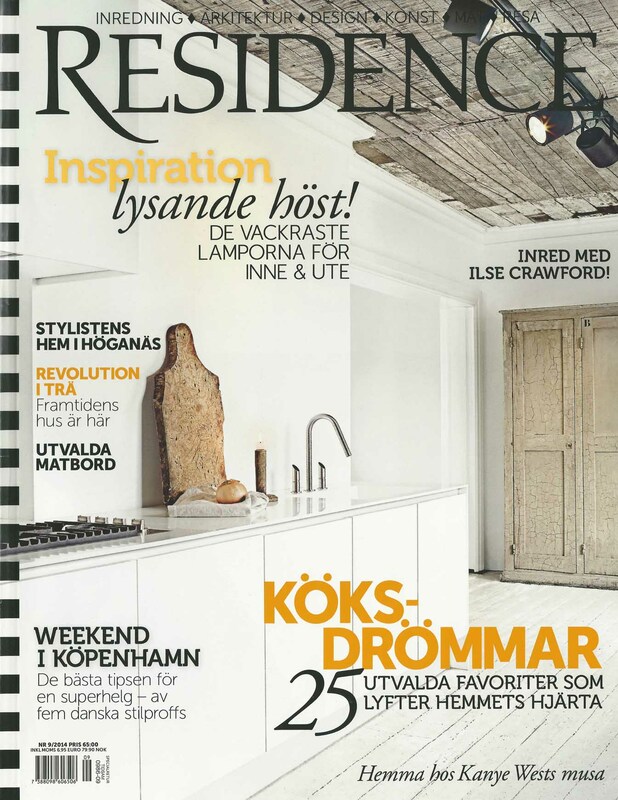 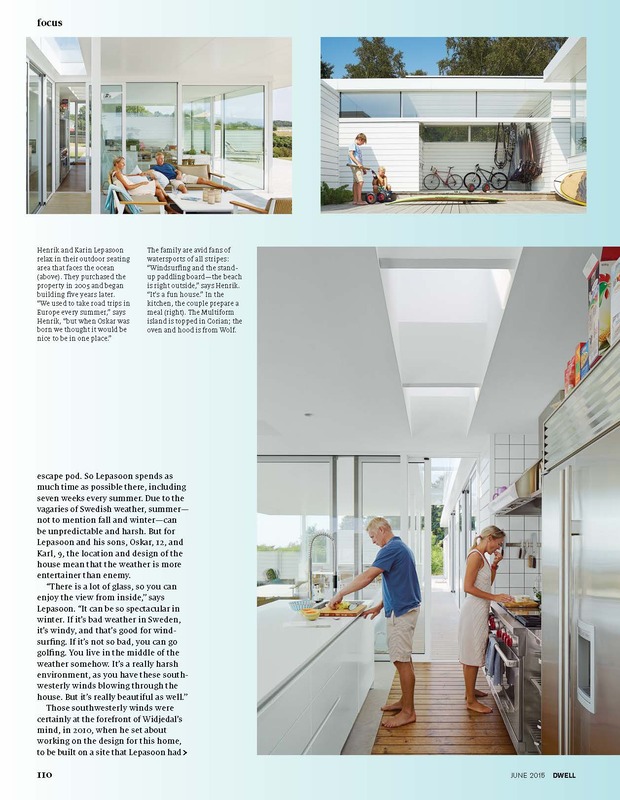 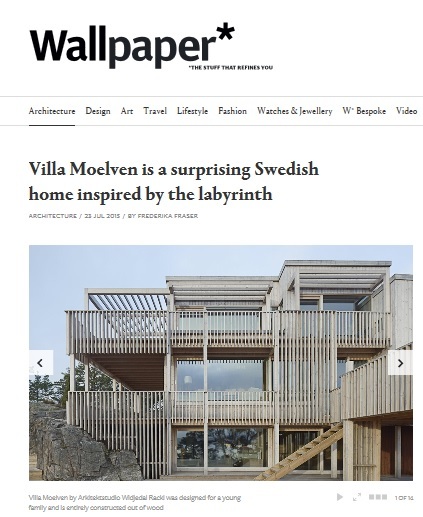 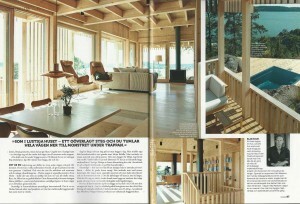 Villa Moelven is now finished and photographed and first to publish is Residence Magazine. 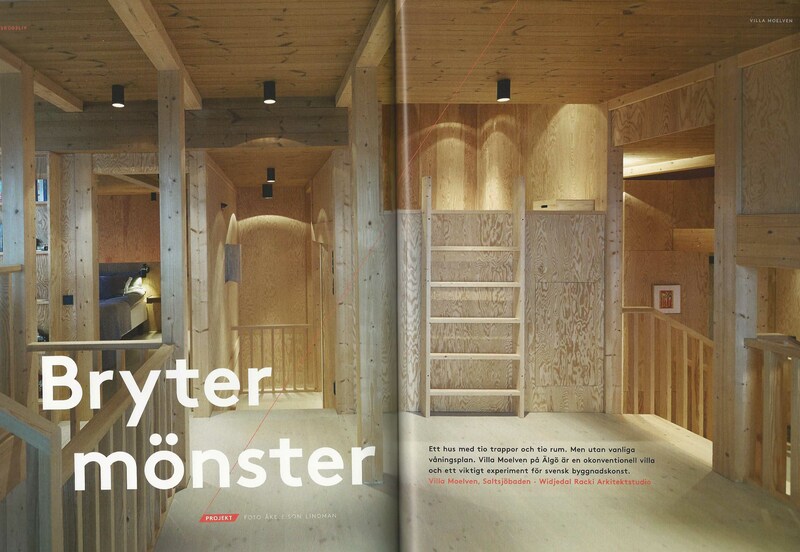 Read about this unique 3-D labyrinth that questions our conventions about how to live and how to organize our homes. 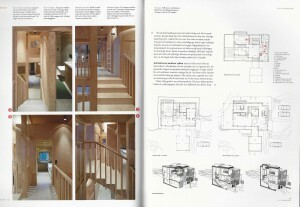 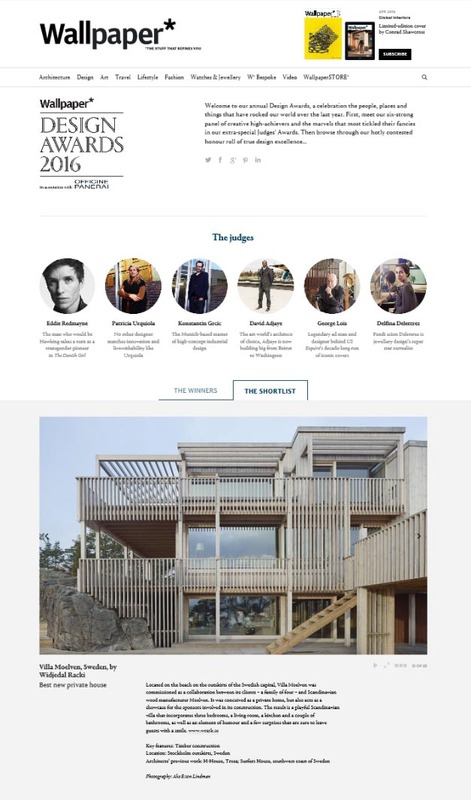 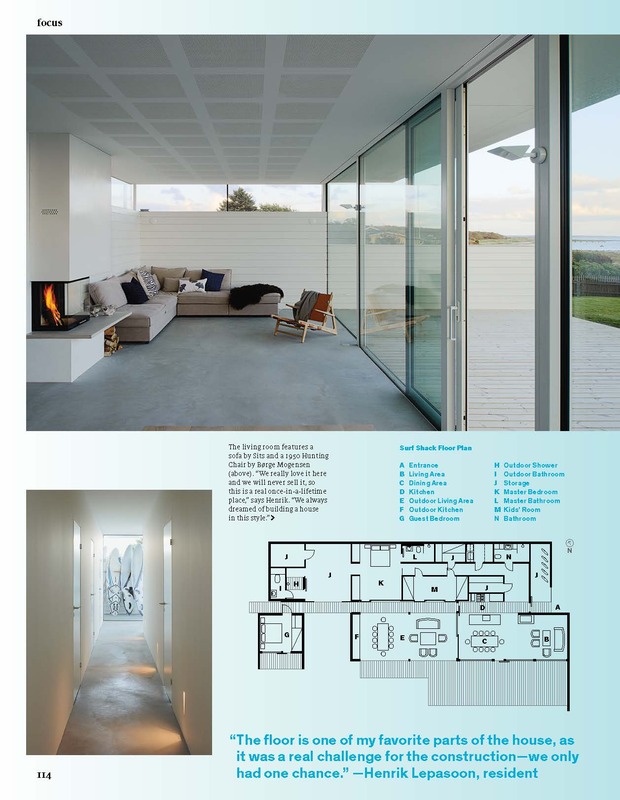 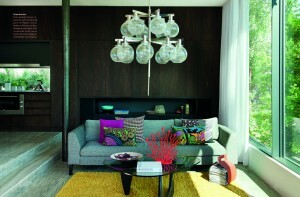 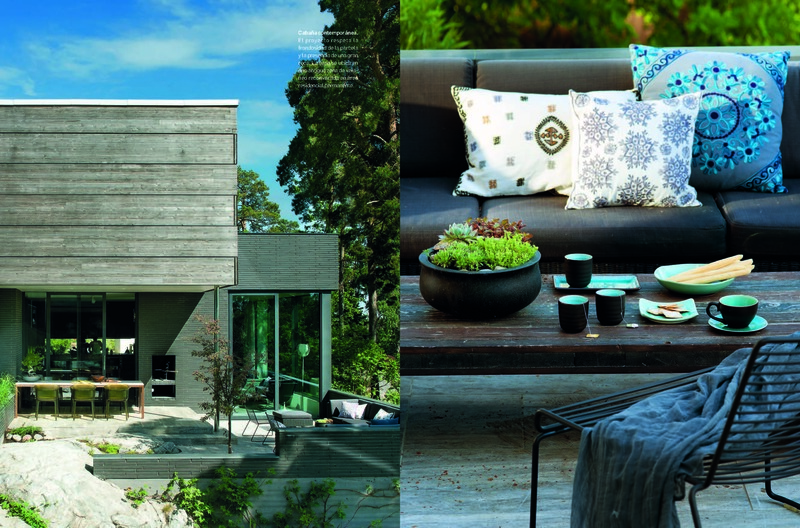 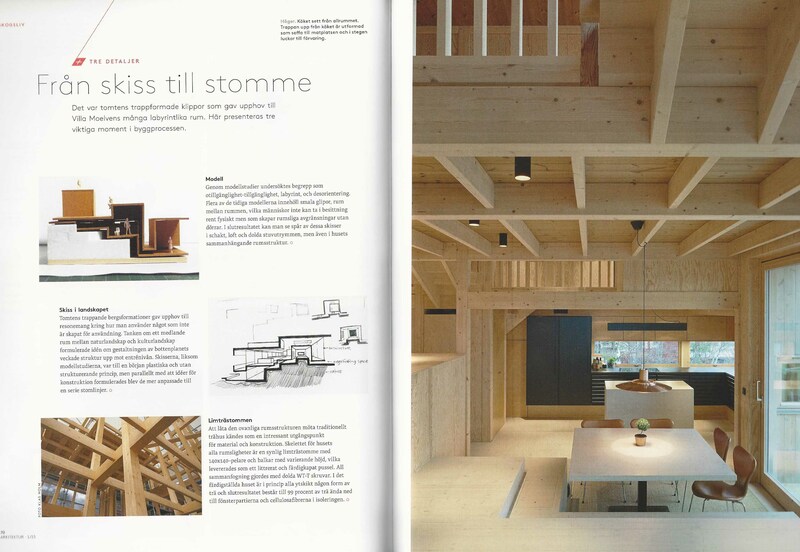 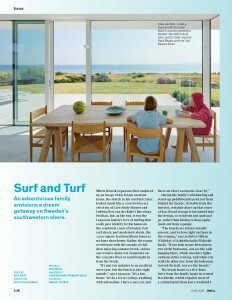 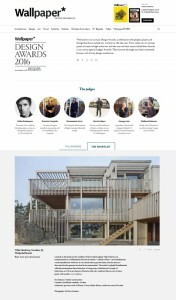 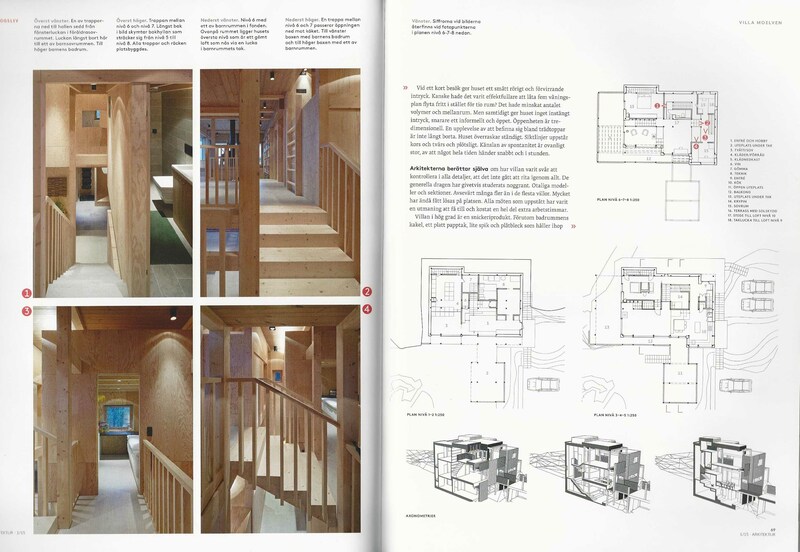 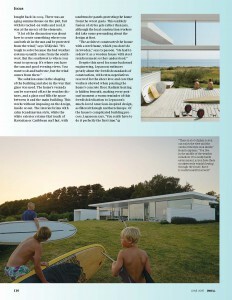 Don’t miss the exclusive coverage of the Barn House in the last issue of Plaza Deco. 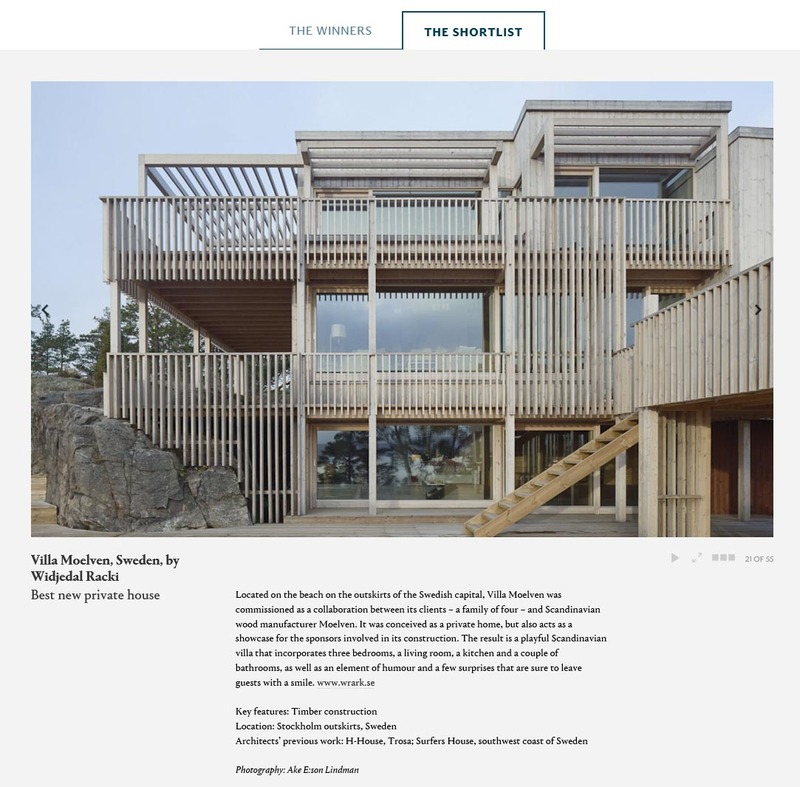 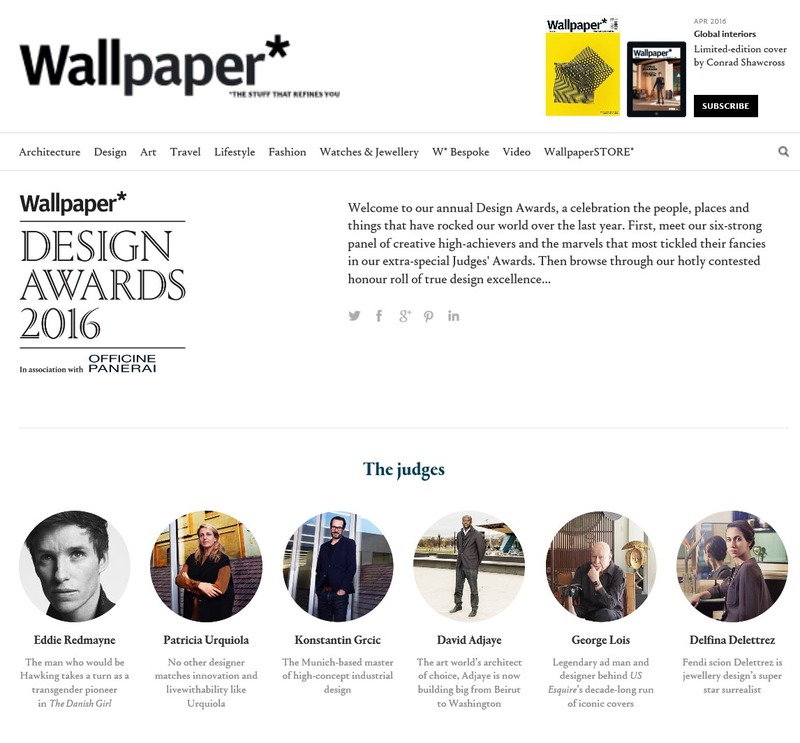 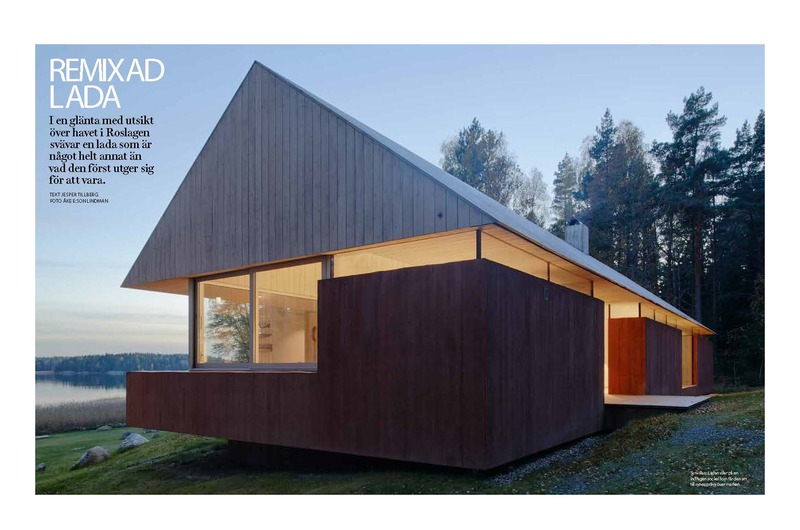 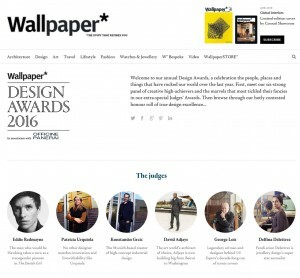 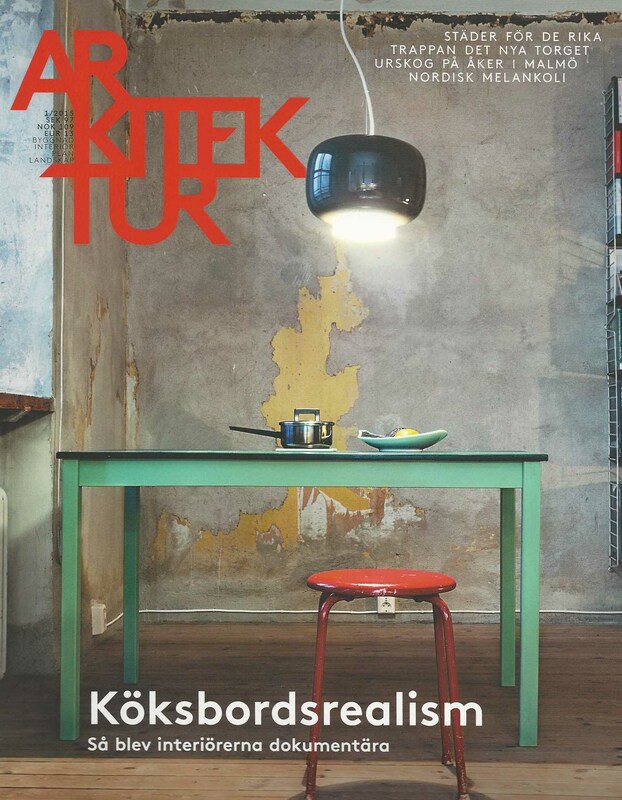 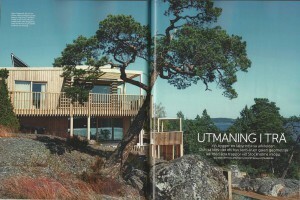 The coverage includes new images by photographer Ake E-son Lindman. 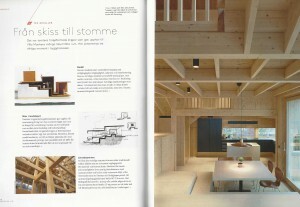 The Barn House was carried out during our former company constallation WRB. 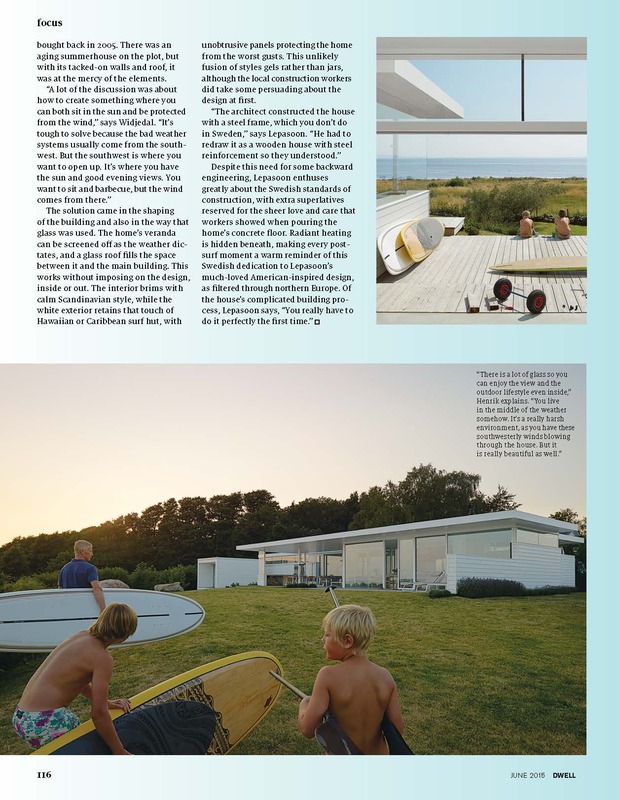 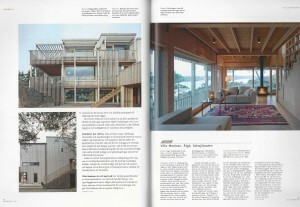 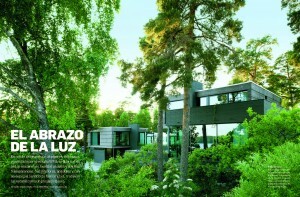 The house was primarily designed by Hakan Widjedal and Philip Bergerhoff. 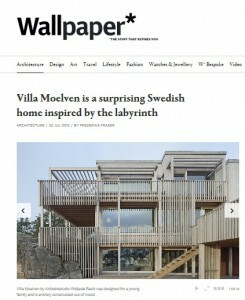 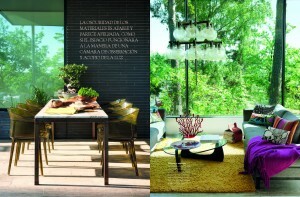 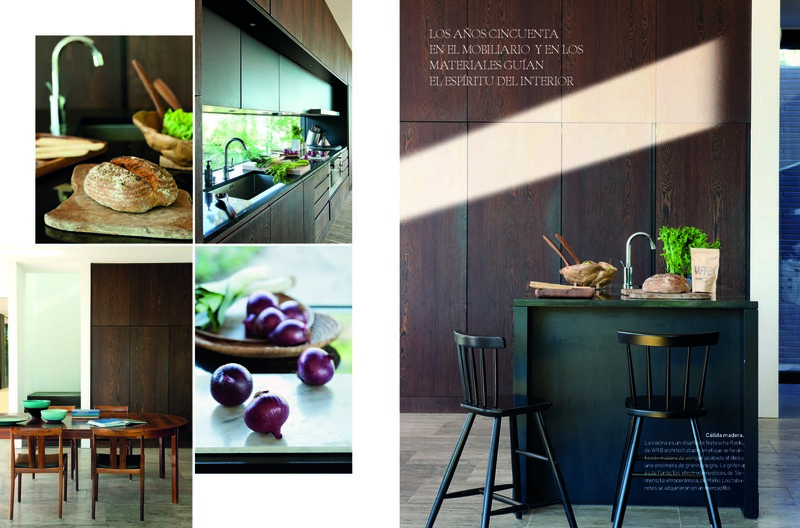 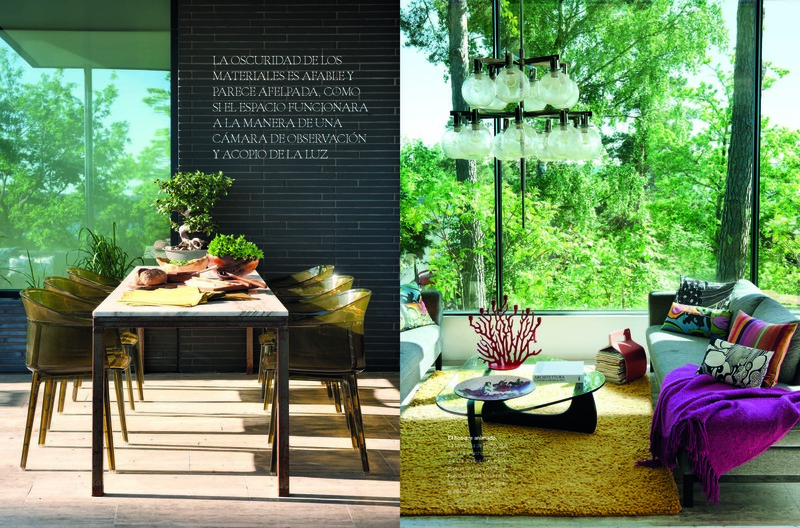 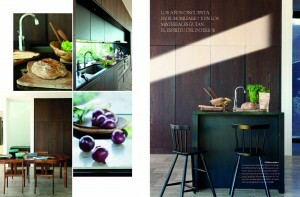 New issue featuring ”Villa Alba” out now. 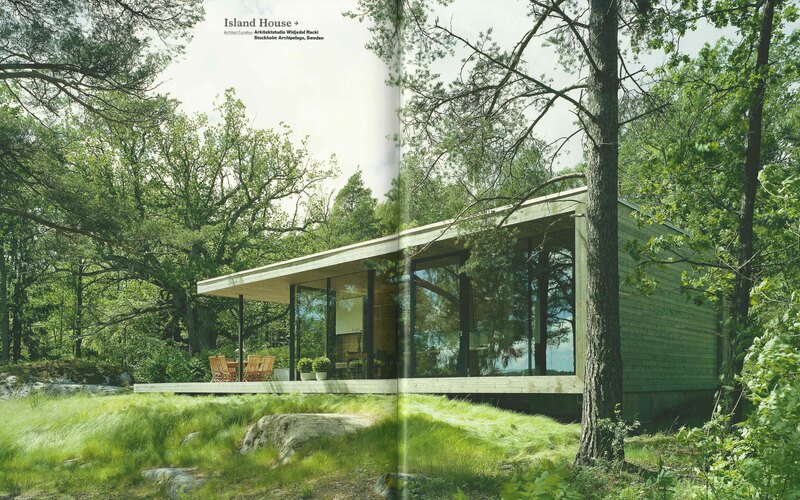 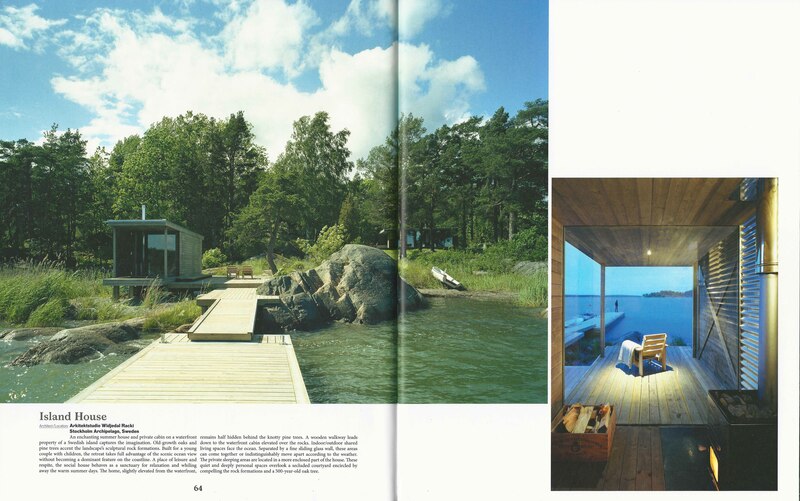 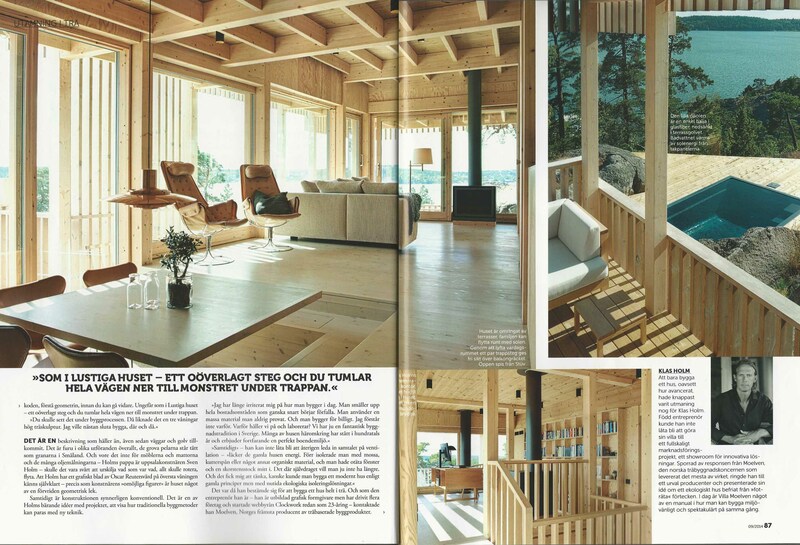 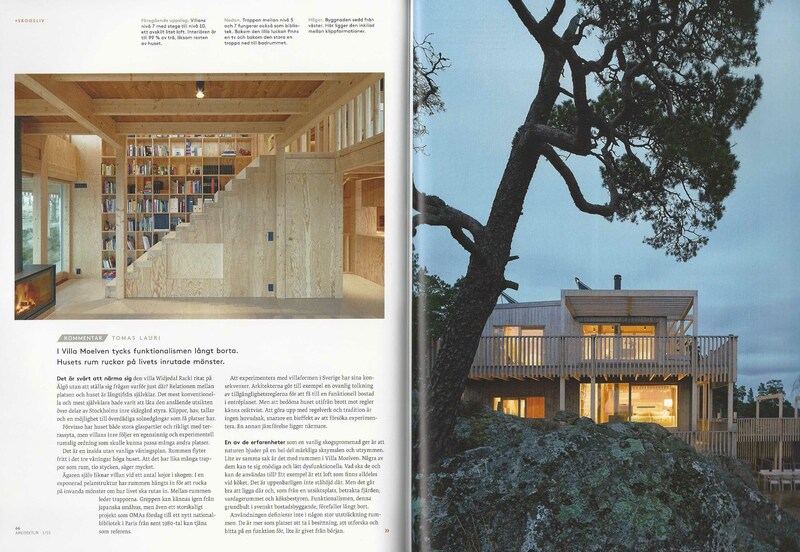 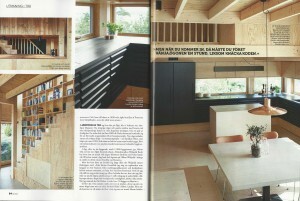 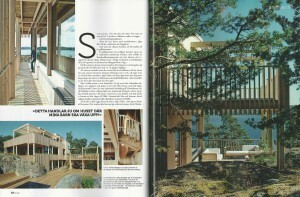 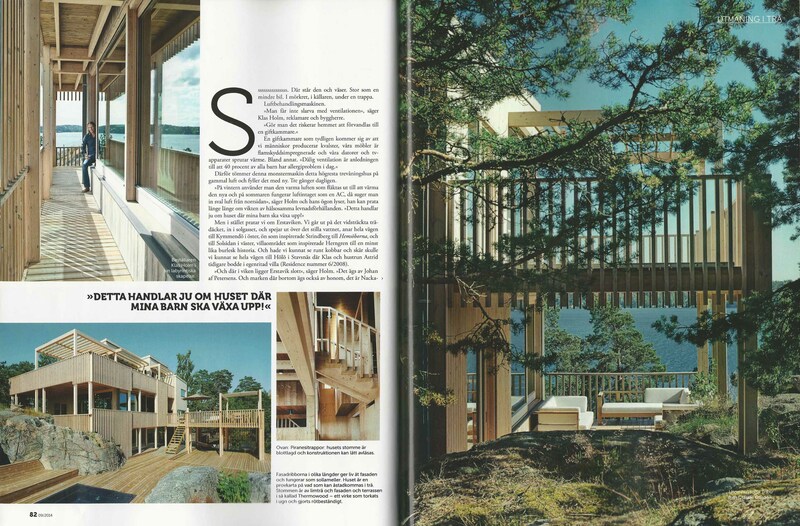 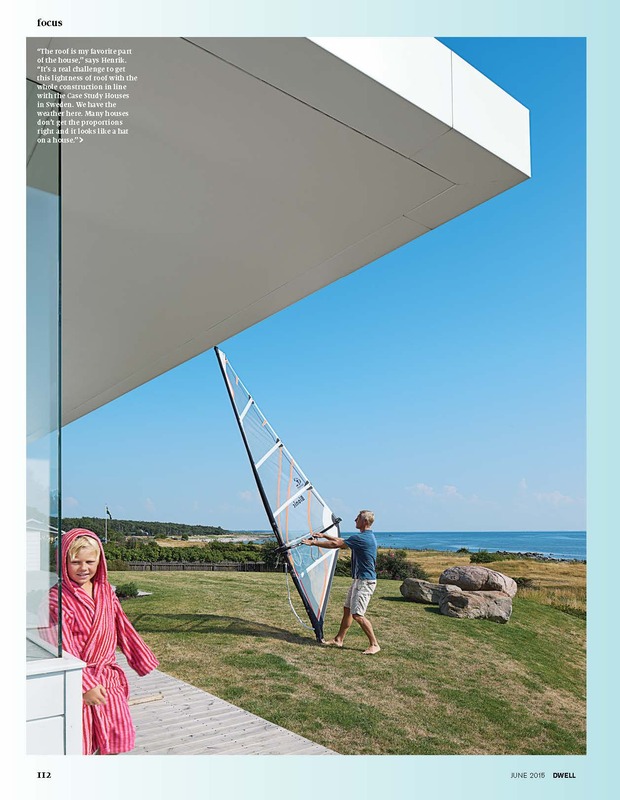 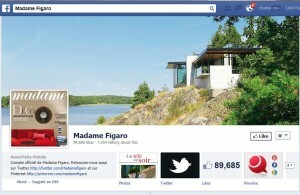 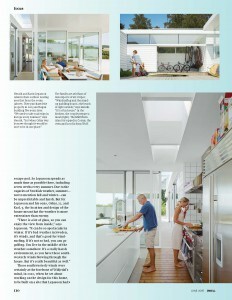 Did you miss last weekend’s extensive portrait of the ”Rock House” in French magazine Madame Le Figaro? 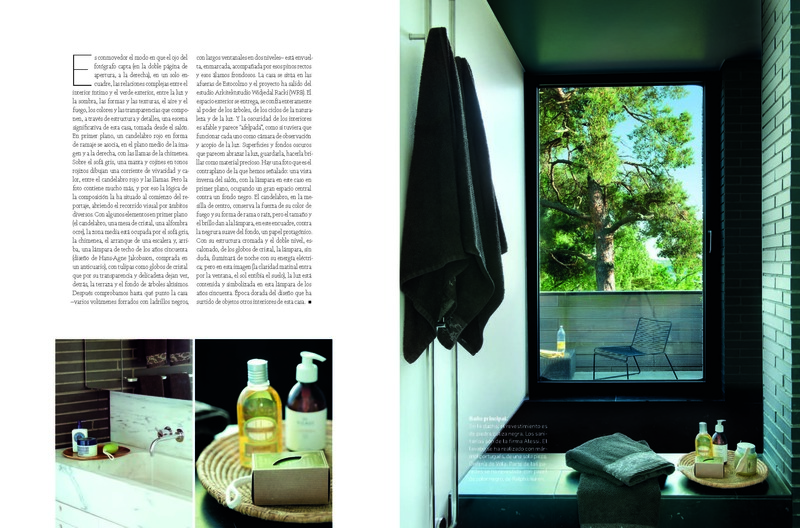 Read the article at http://madame.lefigaro.fr/art-de-vivre/suede-petite-maison-dans-foret-191013-605484 and why not like it at https://www.facebook.com/MadameFiga ro? 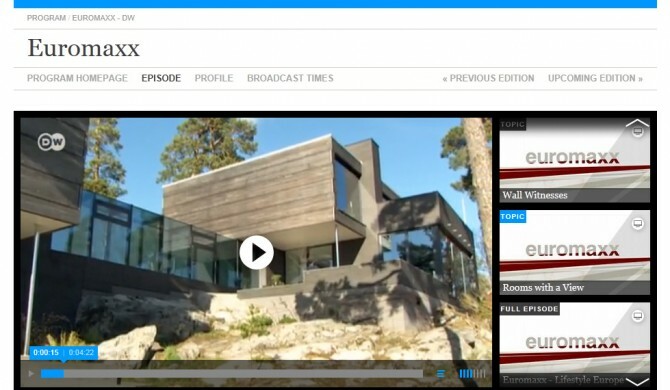 ”Villa Alba” portrated in German television.